I am so excited to announce my personal sponsor for the Brandcation cruise on Royal Caribbean! While Brandcation is a press trip (working vacation) for me, there will be plenty of down time for me to relax on a chaise lounge on the Liberty of the Seas ship and play some games on my phone and laptop. Play2Shop can also keep me entertained while I wait in the airports and even as I'm cruising at a high altitude. Many thanks to Play2Shop for sponsoring me! 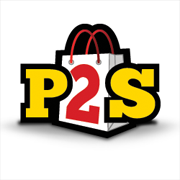 Play2Shop combines the best of casual gaming sites and shopping reward sites to create a place where we can earn rewards and cash back for shopping at over a thousand partner merchants like Amazon, Tiger Direct, Kohls, Toys R Us, and many more. Playing games is always more fun when you get rewarded! Game categories include: Arcade Games, Board Games, Card Games, Puzzle Games, Racing Games, Shooter Games and Strategy Games. They even offer mobile-friendly games. It's a great site that is really easy to navigate and they have all my favorite games. You can instantly turn your Play2Shop reward points into free stuff like merchandise and gift cards from your favorite retailers in the Play2Shop Prize Showroom. You can even use your reward points to enter exclusive tournaments or bid on prize auctions for the chance to win other great prizes. You can sign up too - register HERE for free! That's so great! I'm going to have to check them out, I will have time at the airport for sure. I look forward to seeing you soon! I can't wait to meet you too!